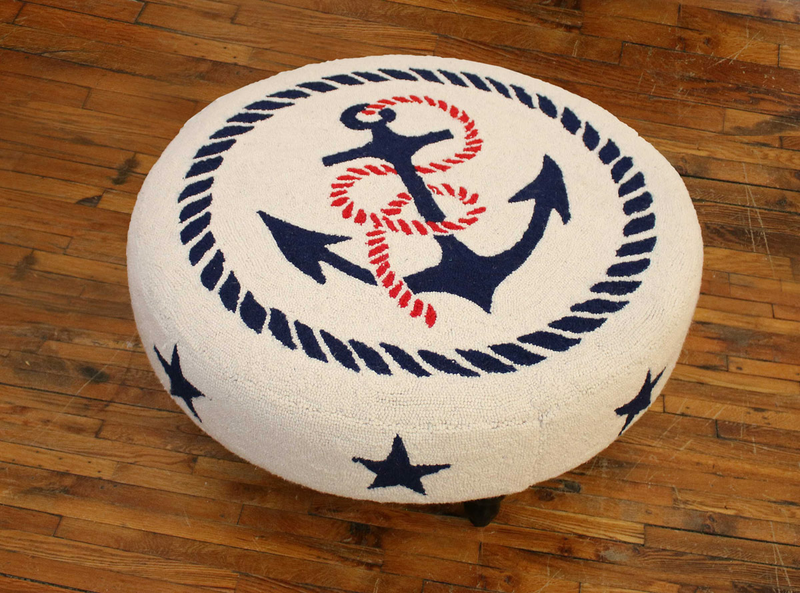 With a navy anchor with a red rope knotted and looped around it and navy stars along the sides, the Anchors Away Hooked Wool Round Ottoman complements your nautical home. Ships from the manufacturer. Allow 1 week. Cannot express ship this beach style furniture. For further items, we ask you to take a moment to explore our thorough collection of coastal style ottomans at Bella Coastal Decor now.